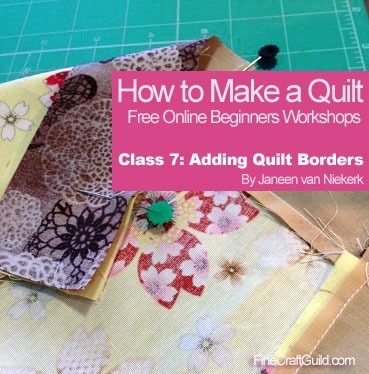 Fabulous Quilt Designer and Quilting Instructor Janeen Van Niekerk is treating us another class in her free online quilting course for Beginners. This class helps us finish the top side of our first project in the course. 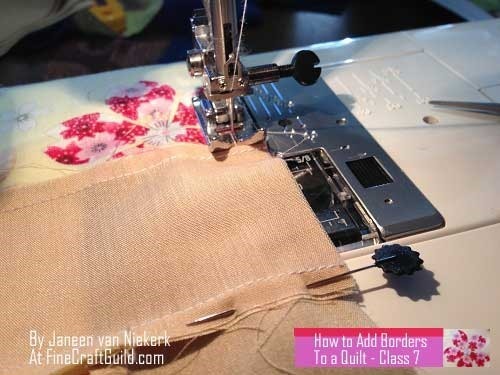 Today’s quilting workshop topic is: ‘How to Add Borders to a Quilt.’ Let’s go have a look how it’s done. 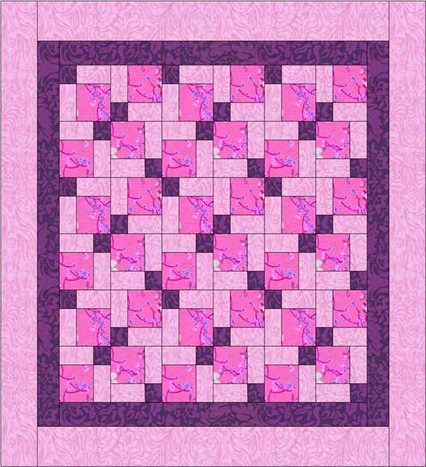 This class follows class 6 in this series, which you can find here: ‘How to Make Quilt Rows :: Free Online Beginners Workshop #6 ‘. Now that our blocks have been sewn together (9 x 9 Blocks), we need to add our borders around them. As you can see from our Pattern we are going to add a dark thinner border and then a medium color thicker border. Step 1: Cutting our Remaining Fabrics for the Quilt Border. 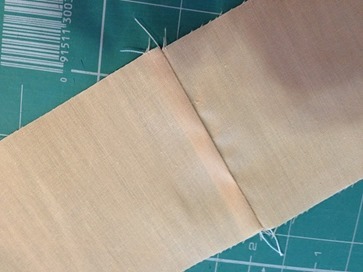 Cut 4 WOF (width of fabric) strips in your darkest color – 2" (2.5 cm). Cut 4 WOF strips in your medium color – 3" (7.5 cm). 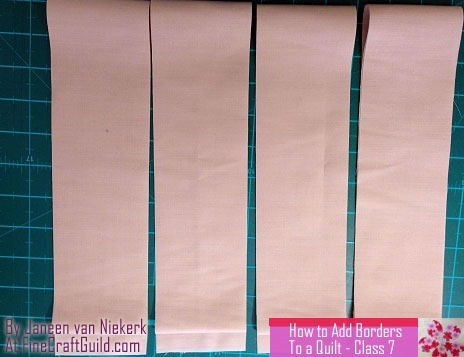 Step 2: Measuring Your Border Strips. Take one of your dark strips and measure across the one side if it is long enough. If the darker strip is longer than your top then all is okay. 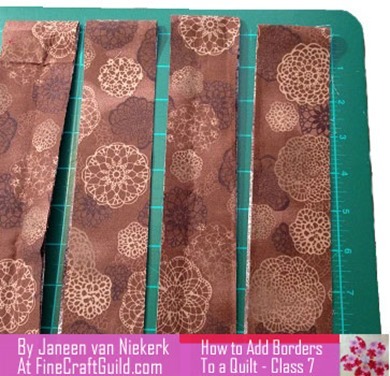 Step 3: Lengthening Your Border Strips. A. Joining with Straight Lines, a Simple Solution. 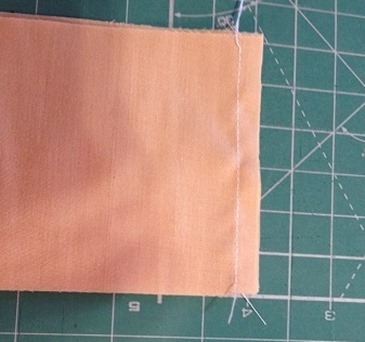 You can line them up straight across and sew a seam that is straight. B. Angle Your Border Strip Joint for Line Invisibility. The second way is to lay one fabric piece at an angle onto the other piece and mark a diagonal line on which to sew across. 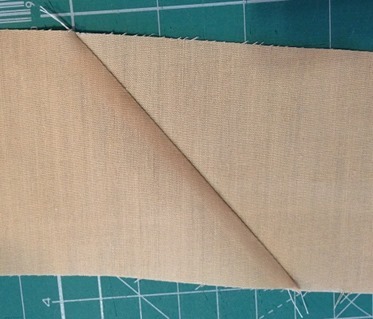 Then cut off the remaining fabric and you will have a diagonal join. 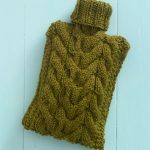 This diagonal join is much more popular because it ‘hides’ a lot better than just a straight across join. If you do have to join your fabrics then I would suggest that you join all of the strips together in one long strip and then from there measure across your quilt top to get the right size. It does not matter where the join ends up – unless you feel it must be in some spot of your own choice. 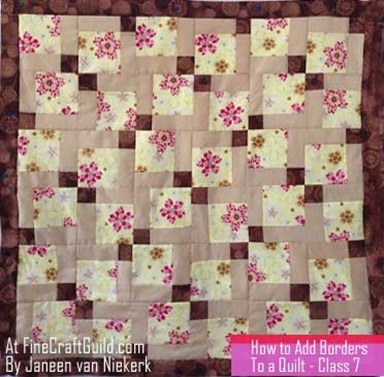 Piecing the Border together by Joining 2 Scraps Diagonally. Here you can see I joined two scraps on the diagonal and just placed it onto my border (its just for you to get a good look) and you can see that the join is not as horrible as you would think. My fabric is light and plain, but on a print, you would hardly even see this join. Here are some step-by-step illustrations. Because this mini-quilt is square, there is no real top or sides. So it does not matter where you start. 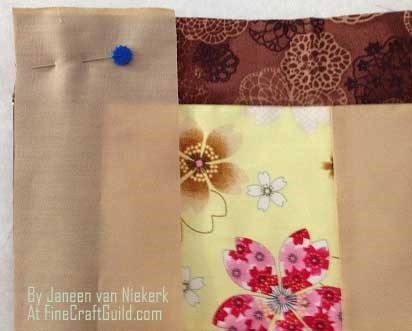 Take one of your strips and pin it to the quilt top (right sides together) and sew it on using a 1/4" seam. You can pin it so that the strip is underneath and the top back is showing towards you. This only helps with being able to see all those little seams. Just make sure they gets sewn down the correct direction when going under your sewing foot. Step 4: Add Your Dark Borders on Opposite Sites of Quilt Top. Now add the border strip to the opposite side of the quilt top. This will also be the case if it was a quilt with a definite top and sides. You would add the side borders first and then the top and bottom borders. This gives the quilt a better ‘look’ when finished. Tip: Hide dark seams behind dark fabric. When adding the opposite sides, make sure your dark borders are pressed open and towards the dark side. You add your other dark strips from the top of the sewn dark strip. Sew it on and do the same for the fourth side. Our dark strips added and the quilt is starting to get that ‘finished’ look! Step 5: Add Your Medium-Colored Strips. Now we add our medium-colored fabric strips. Again, if your strips are not long enough to cover the quilt top then you will need to cut more strips and join them together. We do the exact same with our thicker strip. It doesn’t matter where you start. Just make sure you have opened up your dark strip and you start on the top. Sew each opposite side and then the two adjacent sides. Step 6: Admire Your Finished Quilt Top! This is our finished quilt top. Hurrah!! That’s it for today. Next time we will discuss the batting and back fabric. 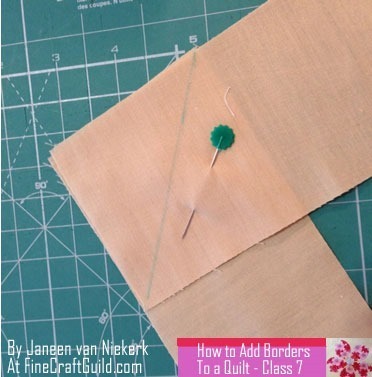 Want to begin sewing quilts with me? Join our free online quilting workshops, which you can take at your leisure, any time you want. 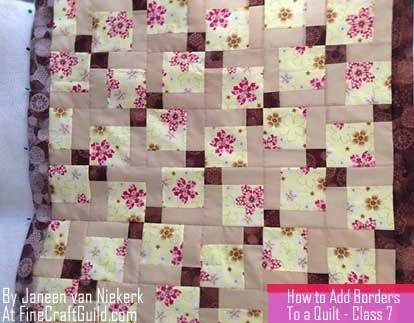 Class #1: Fussy cutting ~ How to Make a Quilt: Free Quilting Beginners Class. Class #2: Quilting Tools – What you’ll need as a beginner. 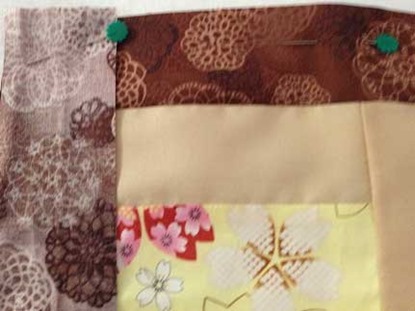 Class #3 : How to Choose & Work with Quilting Fabric. 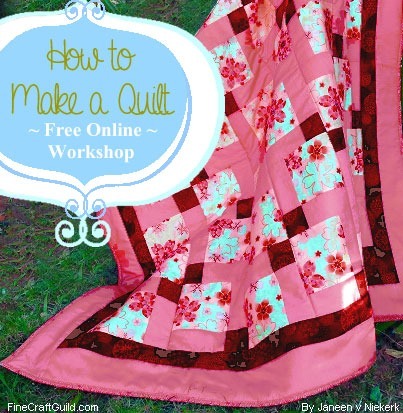 Class #4: How to Read & Work with a Quilt Pattern. Class #5: Creating a Finished Quilt Block . 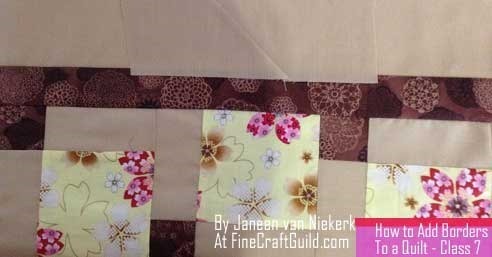 Class #6: How to Make Quilt Rows – from finished blocks. 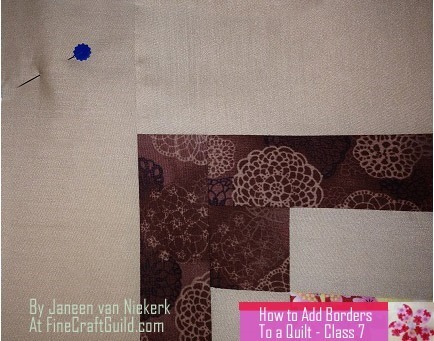 Class #7: How to add borders to your quilt. 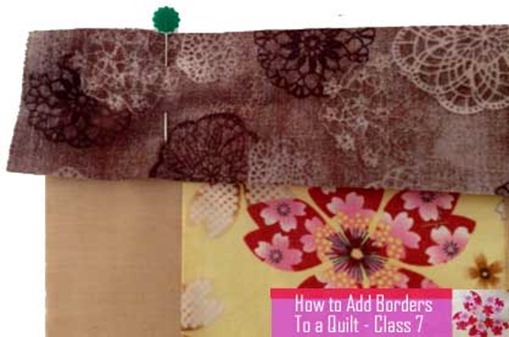 Class #8 : How to finish a quilt: add backing, batting and how to bind a quilt. Class #9 : How to Make Quilt Blocks more Exciting. 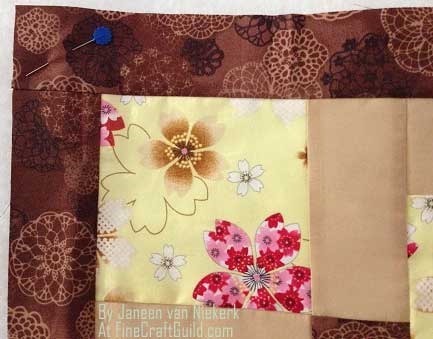 Class #10 : How to Make a Modern Lap Quilt. 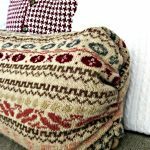 Class #11 : How to Make a Modern Lap Quilt, the next steps. 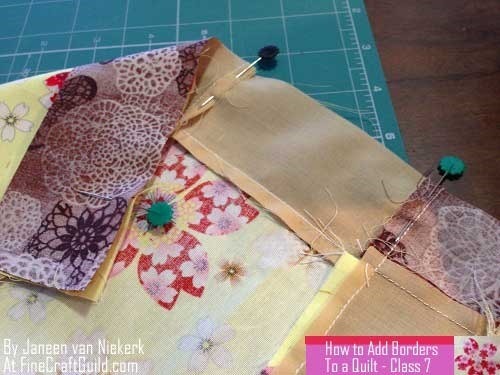 Class #12: How to finish a Quilt :: Modern Lap Quilt. Our latest news of quilt making instructor Janeen van Niekerk is that she has just launched a brand new paper piecing magazine. Quilt artist Janeen van Niekerk is an avid quilter. 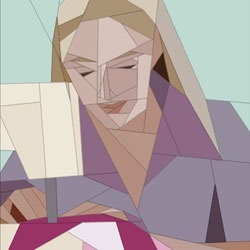 In particular, she’s an accomplished paper piecing designer. She does it all with a passion. Janeen’s prolific range of hand-made quilts (she takes commissions for personalized, stylish portrait quilts), as well as her unique quilt patterns (think quilts featuring safari animals and trees, or kids toys) are inspired by her environs; she lives in sunny Pretoria in South Africa, with her husband and kids. 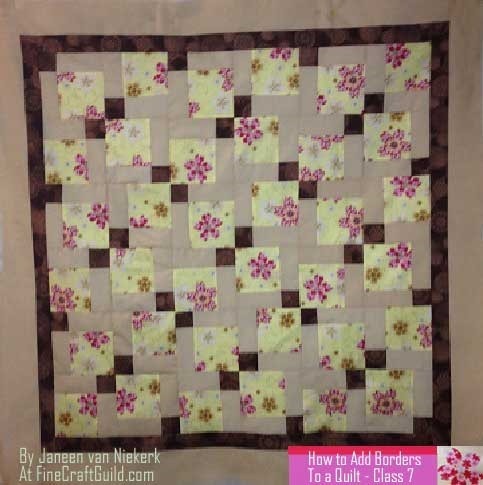 Janeen offers her quilts designs & paper piecing patterns for individual sale Out of Janeen’s 230+ quilt patterns for sale, these are my top 5 Paper Piecing Quilt Patterns, Animals and Flowers. All really beautiful!! 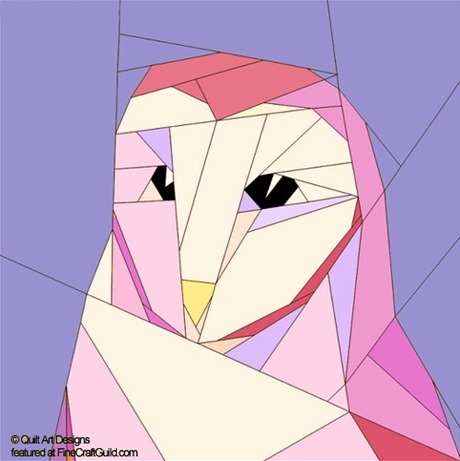 This gorgeous owl quilt pattern is both included in one of Janeen’s books as well as being available for individual sale. Don’t you just love this quilt design? The owl and all Janeen’s other patterns are for sale here at Craftsy. BTW. Crafty also has other quilting, sewing and other craft workshops, which I encourage you to check out, by clicking either the banner below, or the link above. Or,… continue your journey with Quilting patterns, tutorials and ideas featured here at FineCraftGuild.com (beyond Janeen’s quilting course).